Have you been trying to figure out what to do for your kid’s birthday party next month? As a parent, we know how important a kid’s birthday party can be. It is not just a day on which they turn a year older, but birthday parties can be a great self-esteem booster, and create the perfect opportunity for your little one to bond with their peers. Yes, kids’ birthday parties are a big deal, which is why it is so important to make their special day the best one yet. Unfortunately, arranging a kids’ party can be taxing for any parent. There are so many things to consider. Not only must the venue be safe, it must also be fun and hold some adventure, and it must live up to your child’s every expectation. Last but not least, the food must be yummy and healthy. Short of cool, fun, and affordable ideas? Let us help. With so many different party venues scattered throughout South Africa, it is hard to make a decision on which to choose. Your child’s birthday party does not have to be conventional, and we make it easy for you to do something extraordinary. Experience the excitement and adventure of ziplining at an Acrobranch birthday party venue near you! Unlike the typical standard birthday party venues, Acrobranch adventure parks offer much more than just fun and food. An unforgettable adventure of a lifetime, guaranteed to bring out their inner Tarzan, ziplining is the fastest growing treetop eco adventure dominating the South African birthday party scene for people of all ages. Popularised by wildlife biologists studying the rainforests of Costa Rica, ziplining is an exhilarating adventure that lets you slip through the air, from tree to tree, with the wind in your face, while strapped safely into secure harnesses and helmets with safety cables in place. 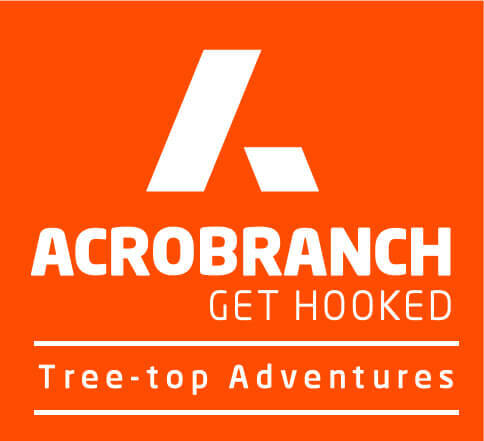 Fun, easy, and safe for anyone between the ages of 7 and 70 years, Acrobranch outdoor activity parks are situated throughout the country. Leading kids through a mid-air obstacle course between the treetops, we offer six world-class ziplining adventure parks. They can be found in Constantia Nek in Cape Town, Sunlaws Estate in Centurion, Rosemary Hill in Pretoria East, Melrose Park in Johannesburg, Honingnestkrans Street in Pretoria North, and Timberlake Organic Village on the Garden Route. With each adventure park offering a completely different experience, kids slide, twist, balance, jump, turn, crawl, dash, and swing while they brave zip lines, cargo nets, Tarzan swings, balancing beams, tightropes, lily pads, barrels, rope bridges, and many other obstacles. Ready to give your little one the birthday party of a lifetime? 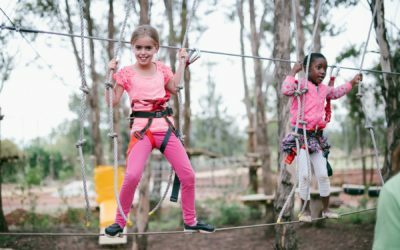 One of the best-kept secrets in kids’ birthday party entertainment, guaranteeing your little one will be the talk of the playground for the months to come, Acrobranch adventure parks offer a birthday party venue that your kids will remember for the rest of their lives. To make your booking at one of our six adventure parks, or to find out more about our birthday party packages and restaurants, contact us today.